 Welcome to the Martha Road Baptist Church website. We are so glad youv've taken the time to check us out. 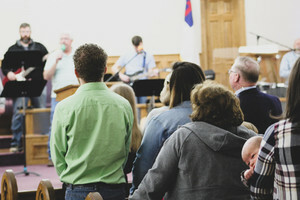 Martha Road Baptist Church was formed in 1889, and we moved to our current location in 2000. Martha Road is very connected to the Altus Community and the Altus Air Force Base. When you attend you will notice that we are a multi-generational church that loves the Lord Jesus and loves the community. Our worship services are a blend of current contempoary worship songs and a few spiced up traditional hyms of the church. We offer two worship opportunities on Sunday morning (8:00 AM & 11:00 AM). Both services are identical. Most of our people choose to wear casual clothing on Sunday mornings as well as our pastor. Intentionally connecting people to Jesus Christ, His Word, His Church and His Mission. If you decide to become a part of the Martha Road family we will ask you to help us complete our vision for reaching our community, state, nation and the world for Christ. A pickleball tournament will be held in the Family Life Center, April 19 & 20, as a fundraiser for the Children's Ministry here at Martha Road. Friday night sinigles begin at 6 p.m., Saturday teams will compete beginning at 9 a.m. Cost is $20 per person or $30 per team. For more information, contact Children/Family Minister D.J. Walter at dj@martharoadbaptist.org. Martha Road will be participating in the Holy Week lunches next week at the Altus United Methodist Church. Firday, August 19, we will provide the meal, our youth praise team will lead worship, and Pastor Kevin will be preaching on the last words of Jesus on the Cross. Come and eat each day at noon. All proceeds from the meal go to Operation Care. The church office will be closed Friday, April 19, for Good Friday. Martha Road Youth will be attending Super Summer June 10-12. Student applications are available with Student Minister Trevor McClure. Applications are due April 21. Super Summer exists to inspire and equip students as Kingdom leaders focusing on 6 core values; spiritual growth, Spiritual Disciplines, Leadership, Evangelism, Discipleship, and Service/Ministry. If you are interested please contact Trevor. AWANA will have a theme night, Wednesday, April 24. Camo Night. See you there! Keenagers, age 55+ Ministry, Spring Fellowship. We will have our next fellowship at the historic Plaza Theater in downtown Altus that now is the home of the Altus Christian Fellowship. Fellowship and movie will be begin at 5 pm on Sunday afternoon April 28. Movie and concessions will be provided for free. CrossTimbers camp for children currently enrolled in 5th and 6th grades is underway. The camp located in Davis, Oklahoma, will be held July 29-August 2 and cost $190. A $30 deposit is due at this time to hold your spot with the balance due May 1. For more information contact Children/Family Minister D.J. Walter at 580-482-3377 or e-mail to dj@martharoadbaptist.org. There will be a fundraiser meal for the Latvia Mission Trip Wednesday, May 1. The meal will be served from 5-6:30 PM and the cost is a donation to the Mission Team. The menu will be chicken strips, mashed potatoes, gravy, green beans, rolls, chocolate cake. Our mission team will be in Latvia July 18-28. The Jackson County Ministerial Alliance and the Altus Chamber of Commerce are hosting the tenth annual Jackson County Leadership Prayer Breakfast on Thursday, May 2, 2019, 6:00 a.m. until 7:30 a.m. in the First United Methodist Church Family Life Center. Tickets will be available for $15.00. Businesses, churches and civic organizations interested in helping sponsor the breakfast may purchase a table of eight for $120.00 for their employees and guests. Tickets are on sale at the Altus Chamber of Commerce. The breakfast is designed to be a forum for political, social and business leaders of the county to assemble together and build relationships which might not otherwise be possible. Martha Road will help serve at the Soup Kitchen, Saturday, May 4, 10-11 a.m. The kitchen is located at the Nazarene Church, 700 N. Main, Altus. Entrypoint is a class designed with the newcomer to the Altus and Martha Road community in mind. Entrypoint is a three week small group gathering that will help inform you about the history, vision, core values, and structure of our church. The class is led by Pastor Kevin Baker in room 102 during the Sunday School hour beginning at 9:50 a.m.
We will take a special offering for the evangelistic projects of the Christian Motorcyclist Association, Sunday, May 5. The offering will be an "All in @ 10 Love Offering". We are asking each person to give $10 per family member. A work day a the Southwest Baptist Churches Assembly Camp will be held Saturday, May 11, beginning at 8:30 a.m. The camp is located east of Lake Altus at 14730 Highway 44, Lone Wolf. For more information, please contact Clayton Carlisle at 580-846-5784.